A fever for collecting commemoratives hit the coin community shortly after the first commemorative coin was released to honor the World’s Columbia Exposition in 1892. 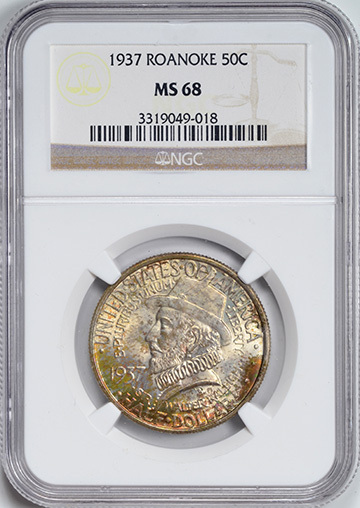 Soon after the mint saw the responsiveness to this first coin they began to strike more to commemorate different historical events. This coin, struck in 1937, was released three hundred and fifty years after the Roanoke Colony of Virginia was founded in 1587. 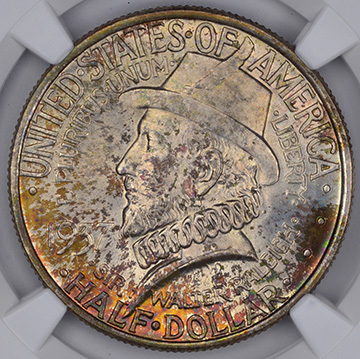 The coin features Sir Walter Raleigh on the obverse, the man who was granted exploration and charter rights to the New World and who also sent the colonists to Virginia. 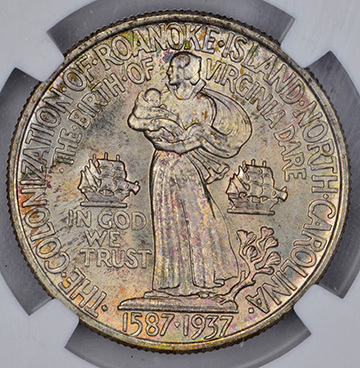 The reverse features a Mrs. Elinor White-Dare holding her baby, Virginia Dare- the first child born in the New World – along with a full sailed ship in the background. 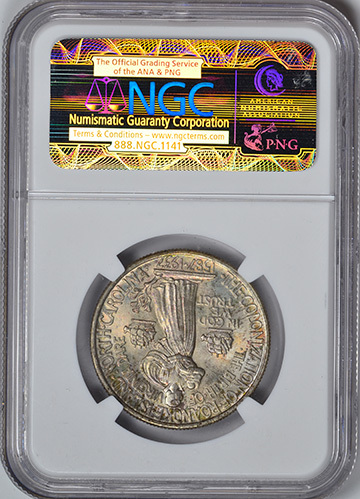 This coin is partial to a mysterious historical event that occurred shortly after the colony was founded when everyone disappeared without a trace. 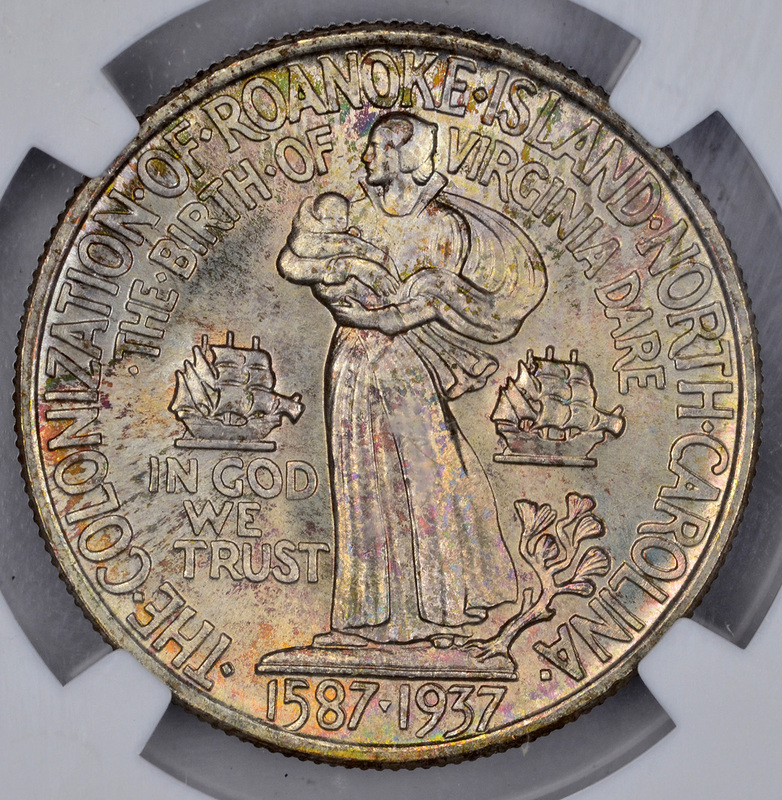 The only reason little Virginia Dare’s records have been maintained is due to her grandfather and Roanoke Mayor, John White, returning to England in 1587 to get more supplies. When White returned three years later he found his entire family and colony empty. To this day no one knows what happened to the colonists that founded the Lost Colony of Roanoke. 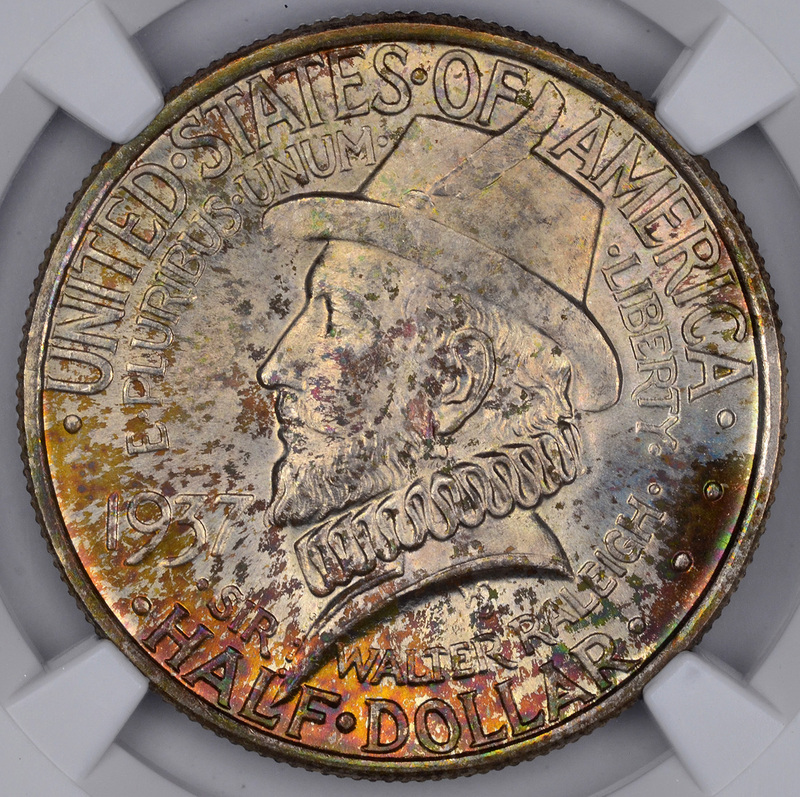 In fact, no remains have yet to be found and the only trace of life was a fence post carving that said: “Croatoan.” This piece reminds us of the perils each colonist had to survive or experience to establish America as we know it today.